Making bean to bar chocolate is a very appealing process, and it requires time and patience. When properly executed, it is a fulfilling process not to mention the excellent chocolate bars made. Apart from having a partner to assist around in the making of bean to bar chocolate, some kitchen tools are important. Some of the kitchen tools that are necessary for this process include a digital thermometer for accurate temperature readings, molds for the final process, and dipping fork. The method also takes time, and it is, therefore, essential to be patient and give every single stage the recommended time for optimal results. However, some measurements mentioned in this piece can be improved depending on one’s view and preferences. 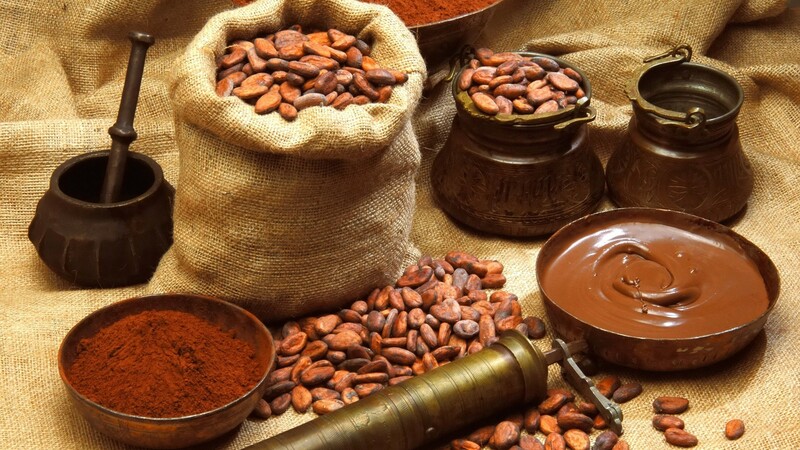 It is advisable to buy cocoa beans from a reliable source for better quality. After getting cocoa beans from a trusted source, the process of preparing them can begin. Since cocoa beans are direct from farms, it is advisable to remove all the debris that might be present, twigs, and if there are small stones, it is better to separate them at this initial stage. For a better taste of the bar chocolate, it is advisable to remove any malformed beans present. Malformed cocoa beans can alter the bar chocolate taste and make it impossible to get the required taste. After removing all the impurities from the cocoa beans, they are now ready to be roasted. It is advisable to use an oven for this process. The main reason for using oven is to be able to have the correct temperatures and avoid going to the extreme while roasting. Before you start baking the beans, it is appropriate to preheat the oven to temperatures to around 160C. After preheating the oven for a couple of minutes, it is now acceptable to start roasting the cocoa beans. This banking is a vital stage in ensuring the chocolate has the desired taste. You start by roasting the beans with the 160C for five minutes and then after that period, you lower the oven temperature by 20C to temperatures of 140C. After this 20C temperature drop, continue roasting the beans for about 10 minutes. After the roasting the beans, allowing them to cool is recommendable. After roasting the cocoa beans, the next stage is to remove the beans shells by crushing them. This is easily done by using a rolling pin. A rolling pin is the most appropriate for this task owing to the fact that you can extract relatively high pressure on the beans. Using the rolling pin is also economical because it is available in almost every kitchen. When the cocoa beans are well crushed, you can now use a hairdryer to blow the shells especially the lighter ones. It is important to blow the cocoa nibs outdoor to avoid a messy room. This process of removing shells can take approximately ten minutes. After removing shells and obtaining a clean bowl of cocoa nibs, it is important to crush them further in order to obtain a fine powder for the next process. In this procedure of crushing the nibs further, one can use various tools available in their kitchen; nonetheless, the main goal is to make them finer. To make sure that there is no case of a grinder jamming due to bigger particles; it is advisable to pre-grind the powder further. This process of pre-grinding should take approximately twenty minutes. After you are fully satisfied with the quality of the powder, it is now apt to go to the next stage. This is the most technical stage in the production of homemade chocolate. It involves many technicalities and expertise in ensuring that the final product is worth the time and the input. Before starting the grinding process, it is advisable to measure the correct weight of the cocoa paste and the figures used in the latter processes. After establishing the correct weight of the cocoa nibs, you now add them to a relatively wet tabletop grinder. This is where the magic happens of transforming the normal beans to a potential bar of chocolate. After putting the nibs into the grinder for approximately one hour, it is now the time to add sugar. The correct measurement of sugar depends on the weight of the cocoa on the grinder and the type of chocolate you want at the end of the process. If you want a dark chocolate, the percentage of the cocoa should be 70 and the other ingredients 30 percent. However, the sugar added should be pre-grinded also in order to avoid the machine jamming. It is important to taste the syrup to known if it has the correct sugar level. The issue of the quantity of sugar is subjective and varies from one person to another. At this stage, other ingredients can be added. They include milk powder and other flavors, and the choice at this point depends on the maker. The craft chocolate at this point has taken shape. However, during this stage, it is vital to refine the chocolate that is in the process. With the introduction of ingredients, the chocolate constituent part sizes are bound to increase reducing the fineness that makes the chocolate sweet. It is therefore good to make the chocolate liquor finer by continuously stirring. This process of stirring is an alternative way to a machine like a ball mill that also serves the same purpose. Ideally, chocolate should have a shiny, dark look. The shiny look is achievable in this process. If the chocolate is allowed to cool naturally, it forms a dark and dull bar that does not qualify to be called a bar of chocolate. Tempering of the chocolate paste is simply placing it at different temperatures that allow the chocolate to obtain the shiny look. The process also allows the chocolate to obtain feel that has a clicking sound. The process takes time, and this is subject to the amount of chocolate made. Fortunately, there is a machine designed for this purpose, and they can save time and energy. After successfully tempering, it is now the time to mould the chocolate into different shapes and sizes. Moulding is a reflection of one personality. There are different ways to mould chocolate. Pouring the melted chocolate into plastic shaped moulds gives the chocolate bars a distinctive shape. Although pouring is time-consuming compared to the use of machines, it is a fulfilling activity. In conclusion, after making the chocolate, the next challenge is storing it. First, it is not advisable to store the craft chocolate in a refrigerator full of other foods. If it is necessary to store it in a refrigerator, it should be nicely wrapped in such a way no odour can be absorbed. The chocolate is likely to absorb the smell of other foods in the refrigerator. It is advisable to store the chocolate in a tightly closed container away from direct sunlight. When all these simple rules are adhered to, the chocolate is likely to last longer. Making chocolate is not only art but also a specialty people acquire with time. Craft chocolate UK makes the dreams of chocolate lovers come true by not only teaching the art behind chocolate making but eating as well. For those looking for a place in the craft chocolate art, craft chocolate UK is here to help.